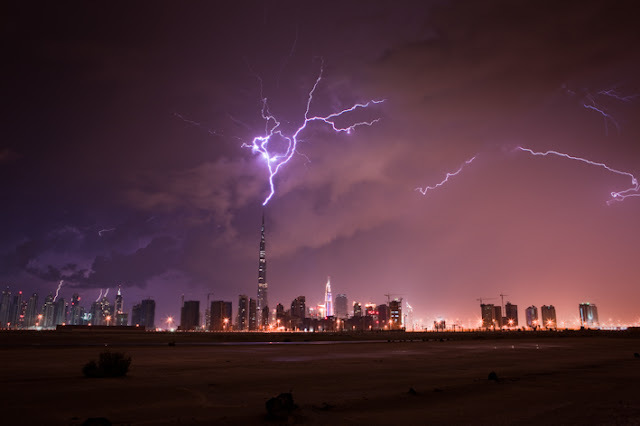 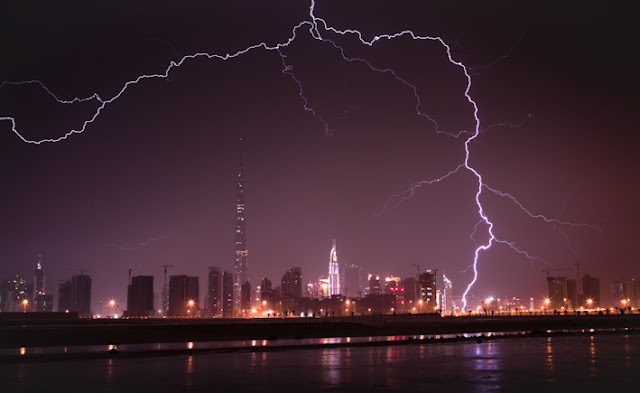 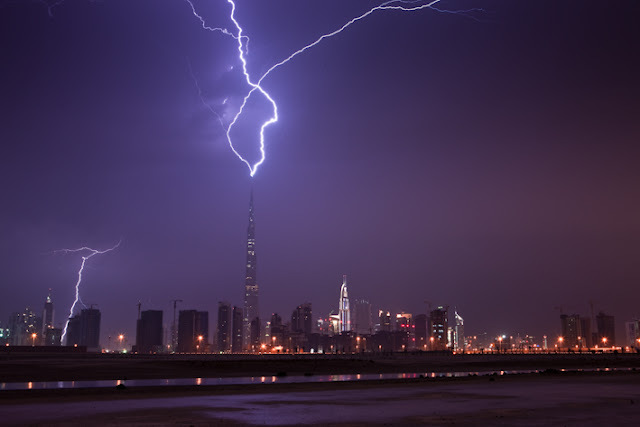 Emirate's Burj Khalifa, world's tallest building in Dubai, is hit by huge lightning. 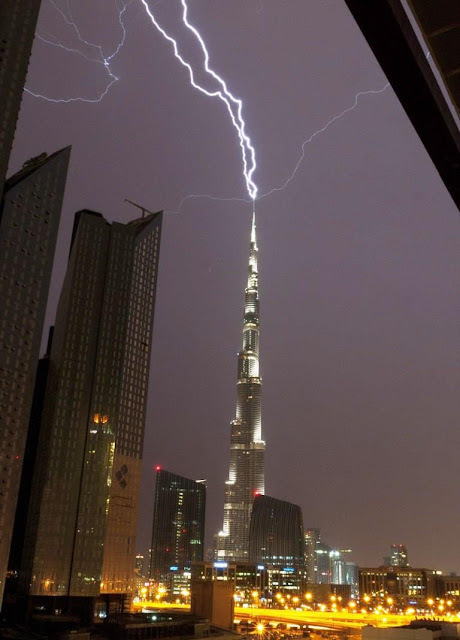 The building stands at a massive 830m high with 160 floors. 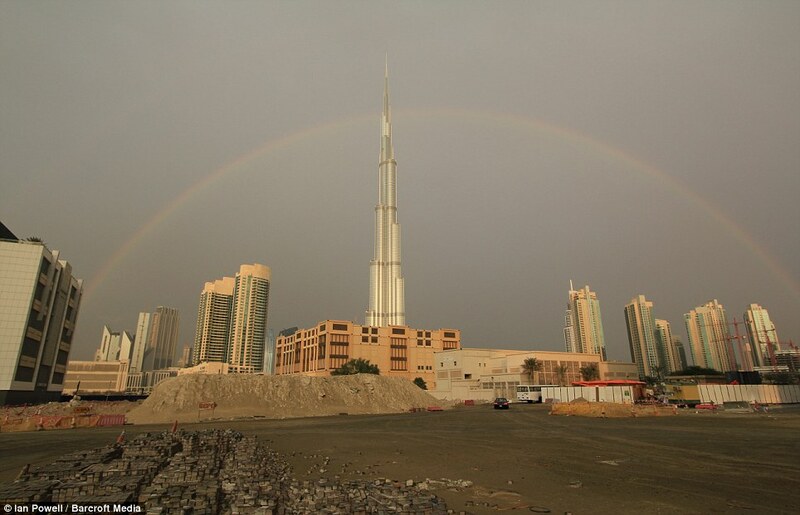 Construction of the tower began in 2004 and the exterior of the structure was completed in 2009. 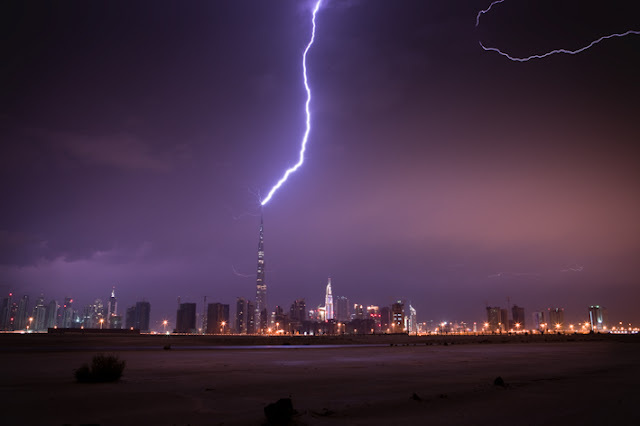 In 2010, the building was opened for public. Beautiful rainbow can be seen after the rain. 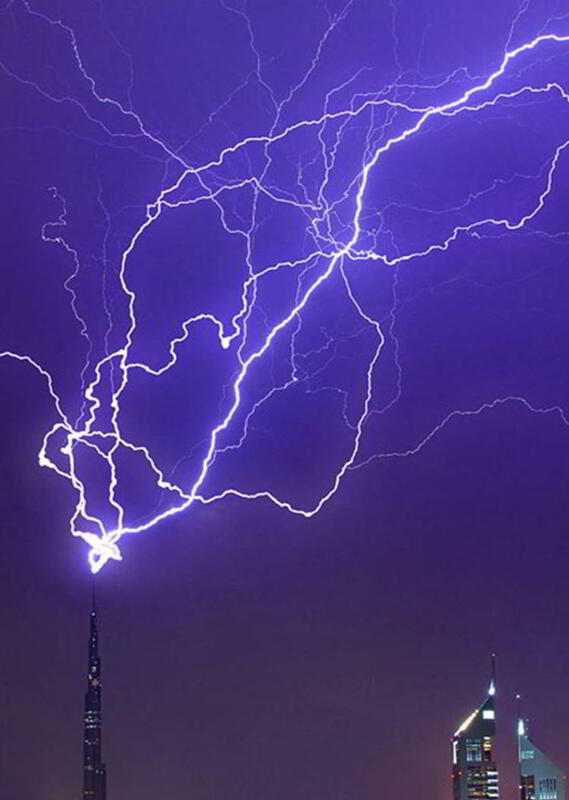 I am really excite to see this next time.